ZOTAC Technology, a global manufacturer of innovation, is excited to unveil the latest innovation at CES 2018. 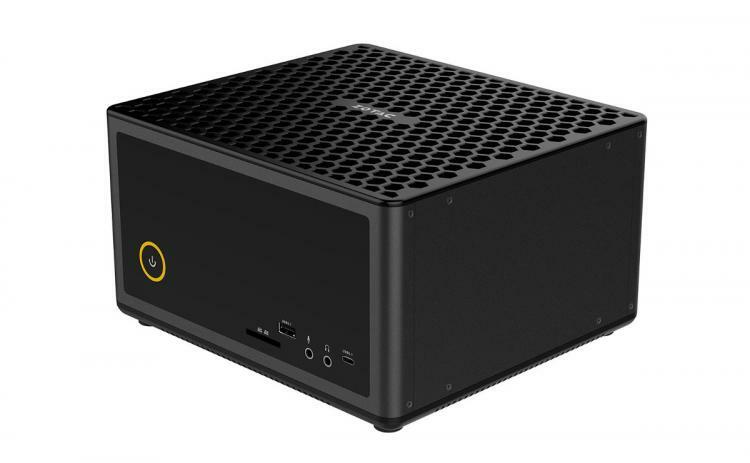 ZOTAC and ZOTAC GAMING will demonstrate new designs and engineering with a new line-up of next-generation ZBOX Mini PCs, along with new gaming accessories that will make their debut. "Our pioneering products always align the latest technologies to reinvent the concept of PC productivity," says Tony Wong, CEO of ZOTAC Technology. "CES 2018 marks the beginning of a new year of consumer electronics, and we are proud to join the frontline of the industry." The 8th generation Intel processer also infuses new life to a series of ZBOX Mini PC. The passive cooled mini PC C Series gets refined with an all-new chassis design in addition with more efficient heat dissipation and silent performance. With low power consumption it supports up to a 25W TDP solution and features a full range of connectivity for customizable expansion. Also joining our top-of-the-line hardware are the new MAGNUS Gaming Mini PC and VR GO backpack PC. MAGNUS pairs up with the 8th generation Intel processor for the first time to bring a six-core processor to the Mini PC form factor. The VR GO backpack PC gets upgraded with a GeForce GTX 1080 graphics card, delivering unprecedented graphics performance and a truly mobile VR experience. The all-new Thunderbolt 3 expansion chassis, AMP BOX and AMP BOX Mini, can transform any Thunderbolt 3 capable systems with a GeForce GTX graphics card or NVMe PCIe x4 SSD to push beyond their limits. 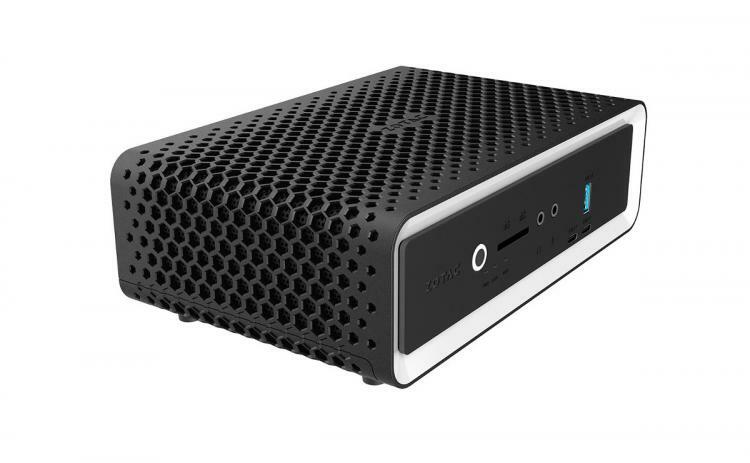 "Our users can easily take their Mini PC, Notebook, or Desktop to the next level by plugging them into these extremely portable and compact solutions, not to mention AMP BOX MINI is the smallest Thunderbolt 3 expansion dock available today," says Thomas Chow, Product Management of ZOTAC Technology. A new expansion box with improved headroom for larger graphics cards is also unveiled for the first time, bringing support for up to a 12-inch, 300W graphics card with Thunderbolt 3 connectivity.